Staten Island Eye Doctor | Why Buy Glasses at Specs for Less? Home » Designer Eyeglasses At Specs For Less In Staten Island, NY, and NJ » Why Buy Glasses at Specs for Less? You want to look your best with frames that exactly suit your face, style, and budget. More than that, you want to see your best with lenses which provide optimal clarity, definition, and sharp accurate vision. Whether you need progressives, transitions, or specialty lenses, Specs for Less makes sure your vision is sharply defined and completely clear. We do this by exclusively providing top-performing lens brands and formats so that no aspect of your vision is compromised. At Specs for Less, your purchase is worry free. We guarantee the quality and craftsmanship of every product we sell with a rock solid 1-year warranty covering defects, breakage, or scratches. Have no fear of regrets either, as we offer a 100% satisfaction guarantee. We want you to LOVE your glasses. The style, shape, and look of a pair of frames define your entire appearance. That's why Specs for Less hires the best optical staff in Staten Island period. Our in-store eyewear specialists know their frames and share their expertise to help you choose the frames which exactly suit your face, style, and budget too. Our Eyewear Specialists will also make sure you have the perfect fit for comfort and ease. Should you ever need adjustments or repairs made, you can always drop in and they'll get you exactly the help you need. We offer a huge selection of frames and sunglasses that you can actually try on… to see how you look and how the frame feels on your face. Our opticians will help you find the perfect style, size, and color in your price range. We carry the designer brands you know and also many exclusive frame lines. We are happy to order additional frames or colors for you to see and try-on if desired. You will be assured of getting the highest quality lenses and frames. We are optical professionals and we use the finest products available to provide you with the clearest eyesight and excellent durability. Online vendors often use inferior products, because it is hard for the consumer to tell the difference… at first. We will help you understand the various lens options and features available. We want you to get the best glasses and not pay for things you don’t want or need. Our opticians perform 10 precise measurements of your eyes and facial features which are used to place your eyeglass order. We use advanced computer software and facial imaging technology. A PD measurement alone is not enough to make a good pair of glasses. We do not provide our proprietary measurements to other sellers. In addition to accepting major credit cards, we accept Care Credit, which is a health care financing service. You can apply in our office and select a six month payment plan that has 0% interest. We manufacture your glasses in our own in-office lab whenever possible. Ask us for a tour and we’ll show you how we do it! We verify your prescription lenses for accuracy, we check the frame size, and we approve the overall quality of workmanship before we contact you to pick up your new eyewear. If the job does not meet our high standards, it is returned to the lab and made again. Most online vendors do not check your prescription and errors happen frequently. 30-day frame exchange privilege. 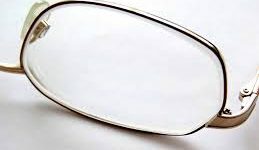 After getting your glasses, if you decide you don’t like the frame, you may exchange it for any other frame. If new lenses are required, a small regrinding fee will be charged. Free lifetime adjustments and repairs. Our expert opticians will professionally adjust and fit your glasses as often as needed for as long as you have them, at no charge. We replace screws and nose pads at no charge for our patients also. We do not adjust or repair glasses that are not purchased from us. Our doctors are available to review your prescription needs and recheck your vision if you have any difficulties with your new glasses (at no charge) and we will fix any problems. We want you to love your glasses!